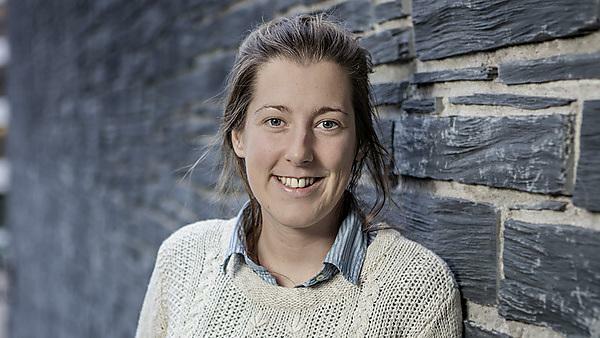 Victoria Sleight tells us how studying at Plymouth University has prepared her for a career in marine biology. In October 2013 I started a PhD in marine biology at the British Antarctic Survey. My research is all about sea shells and how they are made by the animals which live in them. Most of my work focuses on a species that lives in sub-zero temperatures: it’s called the Antarctic clam. The best thing about my job is simply the privilege of doing science. Being the first person to uncover some of nature’s secrets, no matter how big or small, is really exciting. The main reason I chose Plymouth University to study marine biology was the incredibly friendly staff. When I went to visit and enquire about the course everyone was so helpful and enthusiastic, and I knew from that day that Plymouth would be a good place for me. I had no idea at the time, but choosing to study marine biology at Plymouth was probably the best choice I could ever have made. The people are what make the marine biology course standout, and it’s the people who mentored me and sent me off into the world of research with a fantastic training and personal recommendations to match. Before I started my degree I didn’t really have any idea about what science and research was about. Studying marine biology at Plymouth moulded my natural curiosity into that of a scientist. I have no doubt that I wouldn’t be pursuing a career in science if it wasn’t for Plymouth. My favourite memories are all centred around fieldwork. There’s nothing better as an undergraduate student than being out in the field, on the rocky shore, in a boat, on a beach, with your lecturers. Fieldwork is a very special time for any student, as you get to peer into the living world and see the amazing diversity of life with your own eyes. I don’t think I could have been any better prepared for a career in marine biology research than by the training I was given at Plymouth University. Plymouth is the perfect place to study marine biology. The location is key: being surrounded by lots of amazing research and conservation organisations provides a real wealth of opportunities for students; and, aside from the natural location, the teaching on the marine biology program is exceptional.